We not only care for the spirit, but the mind and body. We are blessed to have many medical professionals in our church family that periodically share their insights for healthy living. Tallwoods Rehab and Nursing Center hosted our family hour between services one Sunday in February. Below is an overview of the services available. Our own Regina Appiah-Mends is the Director of Nursing. 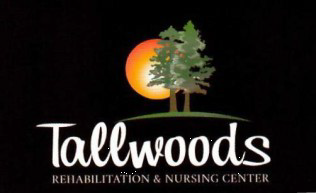 Located In Bayville, NJ Tallwoods is one of Ocean County’s premier nursing and rehabilitation facilities. Providing quality nursing care and comfort for sub-acute /rehab patients, long term residents, Alzheimer’s and dementia sufferers and those needing Hospice care – our skilled staff is equipped to make sure your loved one’s stay is comfortable, active and fulfilling, while maximizing their healing or recovery. No matter our residents’ needs and wants, our staff is trained and has the skill set to provide the utmost in quality nursing, rehabilitation, activities and care. From dining excellence to stimulating and engaging activities, you’re assured that your loved one is not just spending their days with us, but loving every minute. At Tallwoods, you will find sensitivity and commitment that sets us apart, and makes us a facility of choice for those in need of personal care, rehabilitation, respite care and long term nursing care. Please do not hesitate to reach out to our Admissions Director, Veronica Gallucci at 732-237-2220 x111 or on her cell 732-688-6407 with any questions at all on our services.